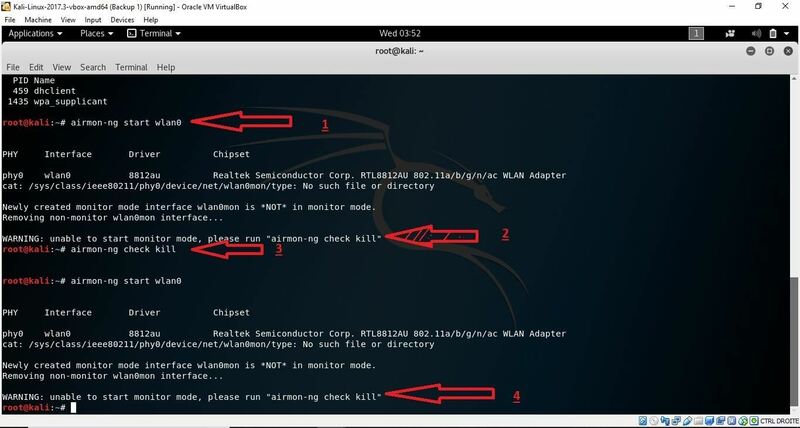 To follow this guide, you'll need a wireless network adapter capable of monitor mode and packet injection. You will also need a computer capable of running VirtualBox, an open-source hypervisor, software that can create and run multiple virtual machines. This should be easy since VirtualBox has downloads for Windows, macOS, and Linux. You can also download a copy of Parrot Security OS (aka ParrotSec) to run in VirtualBox if you'd like everything to work like in our video guide below. If you want to download the ParrotSec ISO but you'd also like to stay off any NSA lists, you can always use a proxy server to download the image file while hiding your IP address. If you're already set up on Arch or Kali Linux, you can also install Airgeddon and any dependencies following the directions on GitHub, and then follow along. One thing to note: Airgeddon needs to open other windows to work, so this won't work via SSH (Secure Shell), only VNC (Virtual Networking Computer) or with a screen. As you can see in the video above, a WPA handshake can be grabbed in seconds, leaving the strength of your password as your last line of defense. If this can't stand up to a reasonable assault, your data is as good as gone if an attacker decides to knock on the door of your network. If you're looking for some help, there are plenty of ways to prevent yourself from being easy to attack with this method. Never reuse passwords, and always make sure to use secure passwords hackers won't like. Password managers like LastPass also allow you to create and sync secure passwords that are much harder to brute-force. Lastly, never share your Wi-Fi password when you don't need to, and change it regularly if you have to share your password at all. Thanks for watching, please subscribe to Null Byte on YouTube for more content, and happy cracking! If it is a strong password, you can send deauth. Very informative video. Thank you for this. Nice tutorial, and the wallpaper too, can you bring a link for it? What is your relationship with kody? I know hoid and barrow is a writer, is kody also a writer? so many questions. Miss hearing from you Justin! If I then select any option it says that I have to put it into monitor mode. Does any ome know what I'm doing wrong? I haven't installed the drivers yet, so maybe that's the problem. If anyone knows the answer pls reply.